A reformed Planning Commission should reflect the diversity of Indian debate, says Suman Bery. I was privileged to be the director-general of the National Council of Applied Economic Research in New Delhi when that distinguished organisation celebrated its golden jubilee in 2006. The Ford Foundation had recently established its first overseas office in New Delhi, and its head, Douglas Ensminger, was requested by Pandit Jawaharlal Nehru to support the new venture. As narrated by Mr Geithner, while the Planning Commission was first established in 1950, it really came into its own in the run up to the second Five-Year Plan in 1956. In this process, the issue arose of where capacity should be created for objective analysis to underpin the design of that Plan. After considerable discussion it was concluded that such capacity was best located outside government in an independent, board-run organisation, rather than as part of the government machinery. The basic argument was that an entity situated within government would inexorably find itself drawn to support and rationalise government policy, rather than provide disinterested advice. More controversially, it was also decided that the way to keep the proposed institution focused on practical problems was to make it dependent on contract research. Those discussions took place almost 60 years ago. India, the world and India's position in the world are fundamentally altered from that era. It is entirely appropriate that the role and function of the Planning Commission should be under review, and it is encouraging that the prime minister has stimulated public debate on the subject. From my perch here in the Netherlands, it has been easier for me to follow the debate in the press than to participate in live discussions. I have followed with interest the debate sponsored by the advocacy group CUTS, as well as recent columns by Shankar Acharya and C Rangarajan. From these sources and other press reports, it appears that a decision in principle has been taken to hive off many executive functions that over time had been assigned to the Planning Commission while strengthening its role as a central, influential and (ideally) objective policy commentator. While not perhaps impossible, it is certainly tricky for such a body to maintain its independence from the government of the day, and much depends on the formal governance mechanisms and informal conventions that emerge. Some would argue that this is exactly the balancing act that the chief economic adviser (CEA) to Union government has been required to perform these many years, often with distinction. But this only deepens the question of why a second such locus is needed, particularly as the CEA is supported, at least in theory, by the professional cadre of the Indian Economic Service. The design questions that need to be addressed, however, ought really to go deeper, and to articulate not just the kind of polity that we currently are, but also the kind of polity that we aspire to become in the coming decades: monolithic and centrally directed by a strong state; or diffuse, decentralised, federal and plural with knowledge a vital public good for ensuring coherent and coordinated action over a vast population and territory. Most observers would point to the United States as the society where policy institutions located outside government are arguably more influential than in most other democracies. In my view, this vibrancy derives from four specific characteristics of that society. These are its presidential form of government; the system of presidential appointments to civil service jobs ("the spoils system"); a high-quality university-research culture; and a philanthropic culture underpinned by a supportive tax system. The presidential form creates a need for aspiring presidential candidates to develop independent, informed, differentiated policy positions, while the spoils system promises power and influence to those scholars who back the right candidate. The spoils system also means that there is a need to house the losers when there is a change of administration, and it is easier to transit in and out of policy institutions than it is out of universities. The university-research culture raises the standard for all intellectual work in the society, and provides a benchmark of intellectual quality and accountability that filters across to the best of the policy institutions. In contrast with the United States, it is striking how few parliamentary systems have succeeded in building an ecosystem of successful and influential policy institutions. While Britain certainly is peppered with a range of economic and security policy institutions, I do not get the sense that they are central to Whitehall deliberations although they influence public debate through the media. In Australia, think tanks are a relative rarity, with the Lowy Institute a pioneer, while in Japan (and in South Korea) think tanks are set up by ministries and led by trusted retirees. What guidance does this provide for the future of the Planning Commission? I am, of course, biased, but it would be a big pity if such a body supplanted rather than complemented the rich, if underfunded, spectrum of existing policy institutions in India, which is rare in Asia. The successor body should concentrate on three principal roles: agenda setting; synthesis of important research results in chosen areas from whatever sources; and convening power to stimulate public and political discussion on key long-term issues. 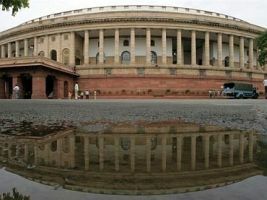 In brief, it should aim to bring knowledge back into the policy process, rebutting the late Raj Krishna's charge that India is (or was) knowledge-proof. Given my current location in the Shell scenarios group, I would also urge that such a dialogue could productively take place using the tools of scenario thinking rather than just modelling and forecasting. The writer is chief economist, Royal Dutch Shell. These views are his own.